There are all kinds of beneficial bacteria that we should consume to aid our digestive health. Acidophilous is one that researchers have touted for many years as a great helper. Found in yogurt, which is essentially fermented milk, acidophilus and several other cultures are used during the fermentation process. But there is another fermented product, this one made from soybeans,that might be doing double-duty in the body. Nattokinase is an enzyme that is found in a food product called Natto. This preparation of fermented soybeans has been a staple in Japanese diets for many, many years. In addition to helping with digestion trouble, this enzyme is also purported to be used as a natural blood thinner. Many herbalists and doctors have agreed that it has strong potential as a clot buster. 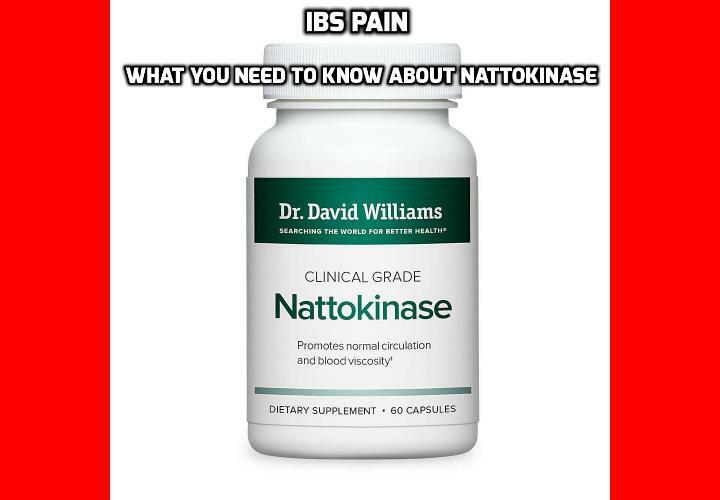 However, the evidence of the blood thinning capabilities is sketchy at best, and many reports of injury and aggravation of conditions have been published to indicate the danger of abandoning prescribed blood thinning therapy and replacing it with nattokinase supplements at this point. It is important to remember that clot-busting and blood thinning are different things that get confused a lot. This might explain not only why nattokinase is good for one problem and not another, and also why it might be ineffective or even dangerous for people who are already on blood thinning therapy. The enzyme has been found to have fibrolytic qualities, which means that it is effective in dissolving a protein called fibrin. Fibrin is critical in the development of clots as it creates a sort of mesh. Nattokinase is believed to break apart the mesh, dissolving the clot. Blood thinners, conversely, work by preventing the coagulation of the red blood cells in the first place. It’s a small difference, but an important one. For general health, nattokinase in its originally found form (meaning in the food Natto) is probably a pretty good digestive and circulatory aid. But, like with so many other properties in superfoods, we find supplement marketers rushing to make the intake of said property easy and cheap. So they isolate the enzyme, removing it from the rest of the food product that is also part of the beneficial banquet that makes up the food, and super-charge it into an ultra-concentrated form. Now, make no mistake. With some vitamins and nutrients, this is an okay idea since you’d have to eat three tons of something just to get to the good stuff. But with enzymes that are most effective when they are surrounded by the food that produced them, isolating them in this way is just not a good idea especially for people who have IBS Pain. People with Irritable Bowel Syndrome who are considering the laundry list of supplements and foods to enhance their diet and relieve their conditions really need to do the research before taking the word of well-intentioned friends and family members. Ulcers can, and do, frequently accompany IBS and adding nattokinase can spell painful disaster. For people with circulation issues who have cast iron stomachs, you’re probably better off sticking to the regimen your doctor prescribed instead of tinkering with a supplement that can lead to hemorrhage, stroke, hematoma, and other bleeding disorders. For everyone else, those of you who are trying to just maintain healthy ways and fend off the ravages of time, you’re likely okay to check out the supplement, with your doctor’s blessing. It may be a good helper for your circulation or digestion and if you are already in fairly good health you may tolerate it just fine. For more information on what you can do to stop your IBS Pain, go to Irritable Bowel Syndrome, order my guide today. Why Trans Fats are Harmful for Your Thyroid? Thyroid Remedy – is taking Too Much Bladderwrack Dangerous? What Can Terribly Happened if You Have High HDL Cholesterol? What Other Terrible Diseases Can High LDL Cholesterol Cause? What are the Best Seeds for Lowering Cholesterol? What is the Safe Number of Eggs to Eat to Avoid High Cholesterol? What can be the Terrible Effects of Toxic to Cholesterol Level? In What Way Can Dogs Lower Blood Pressure and Cholesterol? How to Detect Heart Attack and Prevent It? How to Best Drop Cholesterol Level Easily without Diet Change? Why You Need to be Frightened about Oxidized Cholesterol? Previous PostPrevious How Best to Treat Irritable Bowel Syndrome Naturally? Next PostNext Which is the Best Calcium Supplements for IBS?